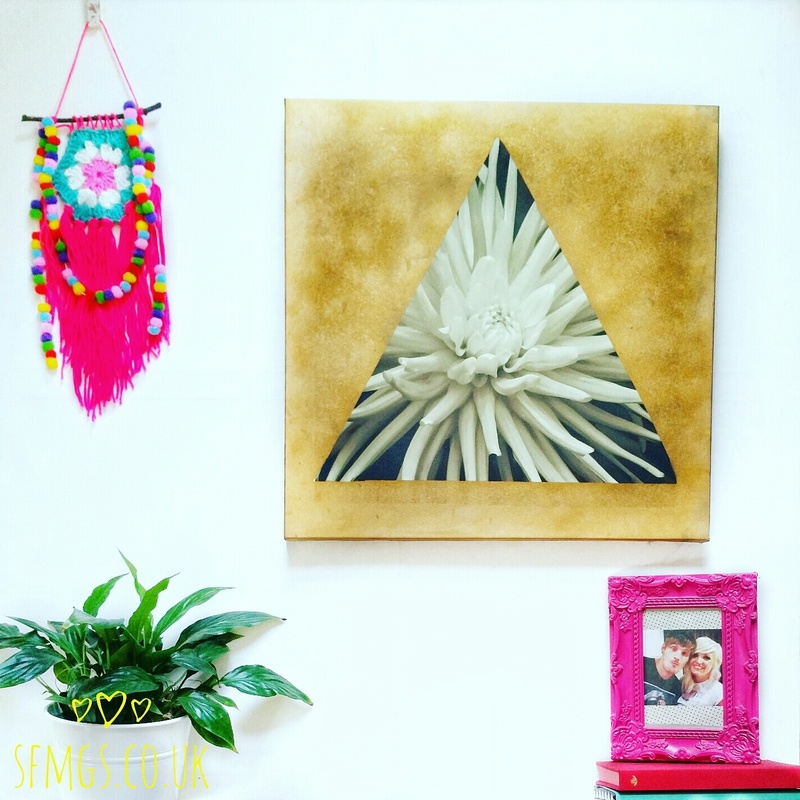 Make stunning Geometric Bohemian Luxe Wall Art in no time by upcycling an old Canvas painting with a can of metallic spray paint. Upgrade your gallery wall with Boho Luxe feels by updating tired old canvasses in no time with this quick and super easy Home and Living DIY! I think we all have a few of these early 2000's type canvas prints lurking in our homes... give them a modern geometric upgrade using just metallic spray paint and masking tape. 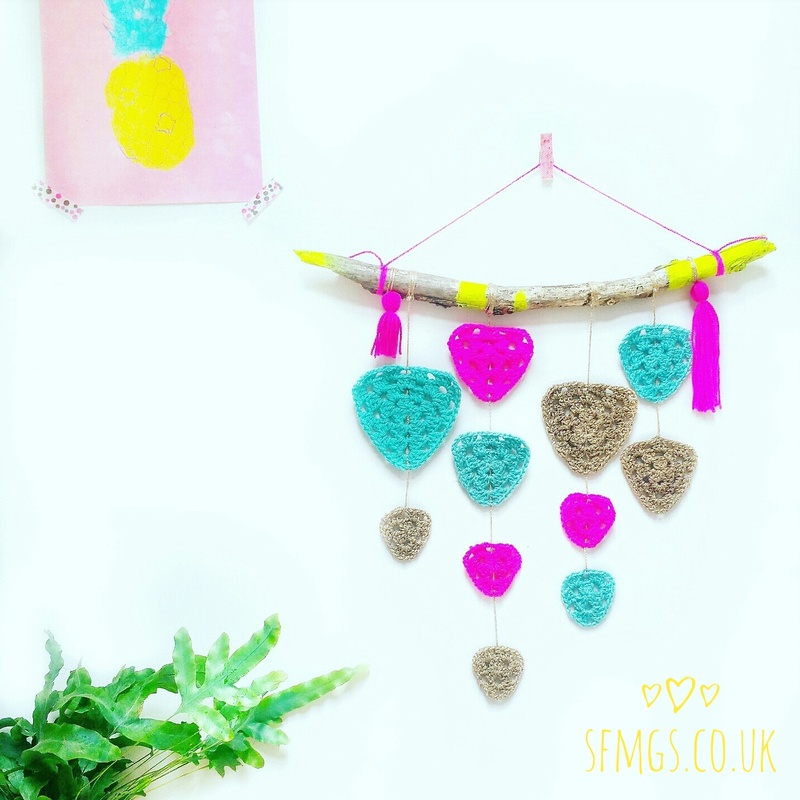 How to make a glamourous Boho Luxe Geometric piece of Wall Art in just 4 quick and easy steps! 1. 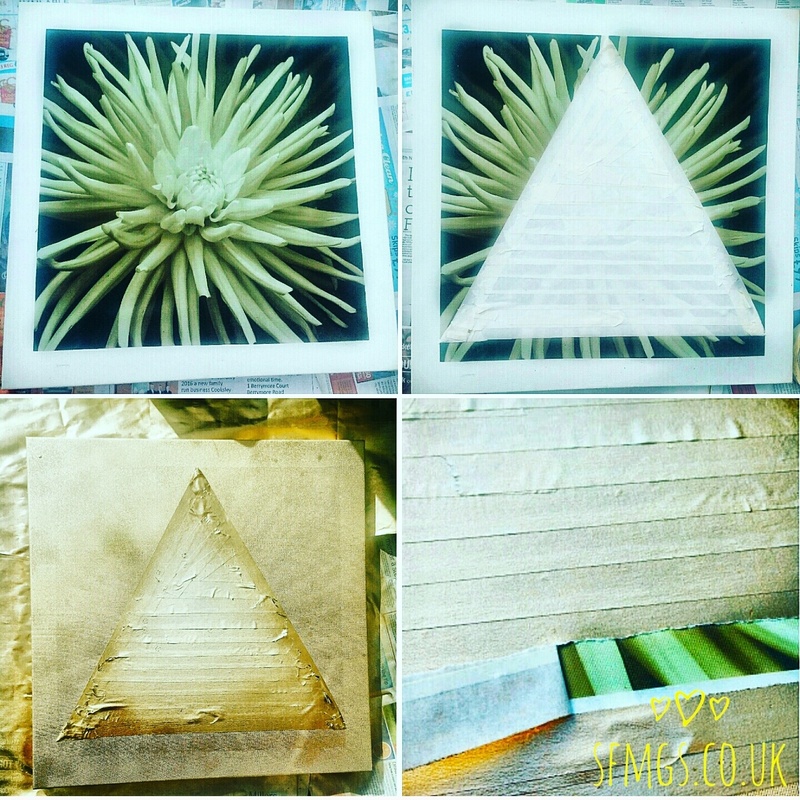 Make a triangle in the centre of your canvas design using masking tape. Measure to find the centre for the point. 2. Add tape to the inside of your triangle until it's fully covered. 3. Spray the whole canvas with a couple of coats of spray paint - to get this hammered beat metal effect, on the final coat spray in short sharp bursts all over. 4. Carefully peel off the masking tape. Voila! Boho Glam wall art with a modern Geometric twist for practically zero time and/or effort.